I love that ASOS lavender coat! It would be perfect for spring! I loveee the light pink and the teal colored coat! 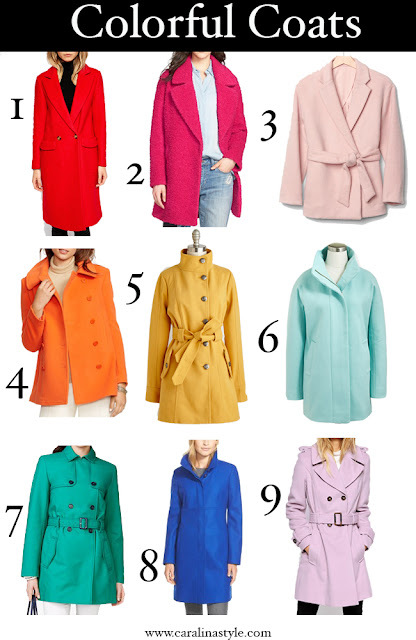 I have been wanting to get a colored coat for a while! I love that blush colored one, so pretty! I love all of these coats! a bright coat makes such a statement, I have a neon yellow trench that I always get compliments on. great post! I love these coats, so cute!